Thread: KYCBench are pleased to announce the partnership with CoinBene exchange! As one of the largest crypto exchanges, Coinbene is the brainchild of an elite group of major platforms in China. The three companies merged to form one of China's most secure trading and conversion platform to provide customers with high-quality digital assets in the blockchain world. The CoinBene exchange headquarters are based in Singapore with offices also in Hong Kong, Malaysia, India, Brazil, and more. The exchange launched on November 20, 2017, making its rapid rise to a consistent top 30 exchange by 24-hour trade volume an impressive feat. As one of the largest cryptocurrency exchange, Coinbene has a lot to desire. The platform is a leading exchange due to its wide variety of options. Traders have access to a large number of cryptocurrency pairs unlike most of the trading exchanges. Any client has the opportunity to plenty of currencies that they can quickly pick from and begin their trade. Additionally, this broker has a lot of experienced developers and researchers who help maintain and upgrade the site to prevent issues with customers and downtime. Furthermore, the withdrawal fees are readily available, and clients get excellent transaction volumes with minimal costs to their advantage. This is unlike most of the proficient crypto exchanges out there in the market. Also, it’s important to note that CoinBene is a centralized exchange. 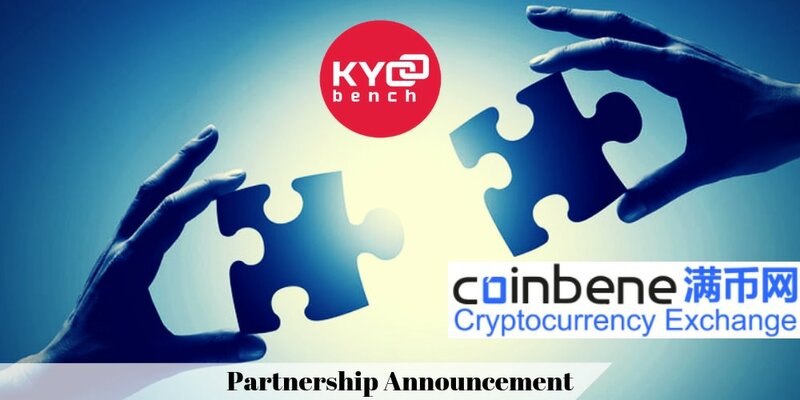 Partnership with KYCBench is aimed to straighten cooperation with Coinbene in Asia as the demand for good compliance continues to increase year on year in key markets globally, but especially in Singapore, Hong Kong, China and India as compliance issues, such as anti-money laundering (AML), fraud and policy review, remain hot topics there. The required standard for 'Know Your Customer' (KYC) and due diligence practices has risen as regulators take a more proactive approach. KYCBench is absolutely compliant with GDPR and ISO27001 and meet highest AML standards to minimise reputational risk by implying an exceptional KYC procedures, taking action to address territorial KYC deficiencies.